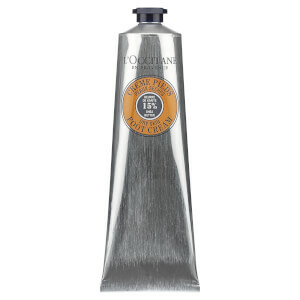 Give your hands the royal treatment with the Roses et Reines Hand & Nail Cream. Enriched with Shea Butter and Vitamin E, this light cream helps to nourish, soften and protect hands while helping to strengthen nails. 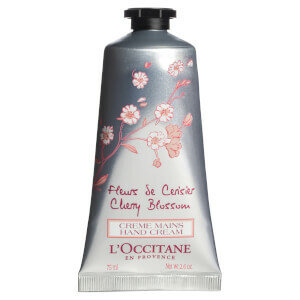 Skin is delicately scented with the velvety, floral fragrance of Roses et Reines, which combines extracts of roses from Grasse, Bulgaria, Morocco and Turkey with a unique rose extract from Haute-Provence. Apply on hands and massage gently until it has completely been absorbed. Aqua/Water** - Glycerin** - Cetearyl Alcohol** - Coco-Caprylate/Caprate** - Helianthus Annuus (Sunflower) Seed Oil** - Butyrospermum Parkii (Shea)Butter** - Cetyl Alcohol** - Rosa Centifolia Flower Water** - Rosa Centifolia Flower Extract** - Rosa Damascena Extract** - Rosa Damascena Flower Oil** - Butyrospermum Parkii (Shea) Butter Extract** - Cera Alba/Beeswax** - Corn Starch Modified** - Chlorphenesin - Sodium Benzoate - Ceteareth-33** - Polysorbate 60** - Sorbitan Isostearate - Xanthan Gum - Hydroxyethyl Acrylate/Sodium Acryloyldimethyl Taurate Copolymer - Silica - Caprylyl Glycol –Tocopherol** - Parfum/Fragrance - Citronellol -Benzyl Salicylate - Alpha-Isomethyl Ionone - Geraniol - Linalool - Ci 77491/Iron Oxides. **Natural origin ingredients. 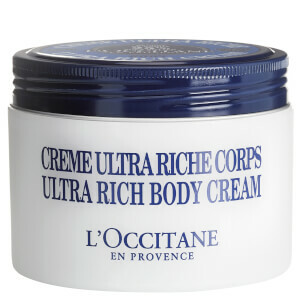 Great product, but It is more like lotion than the Shea butter hand cream by L'Occitane. My tube may not last as long, but it is glorious!